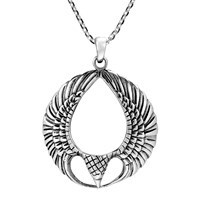 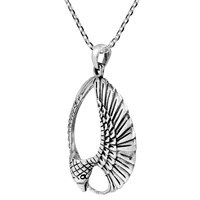 Crafted by Thailand's Khun O, this triumphant eagle wings pendant is created from sterling silver. 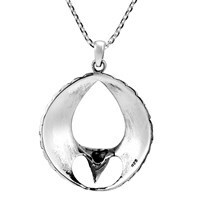 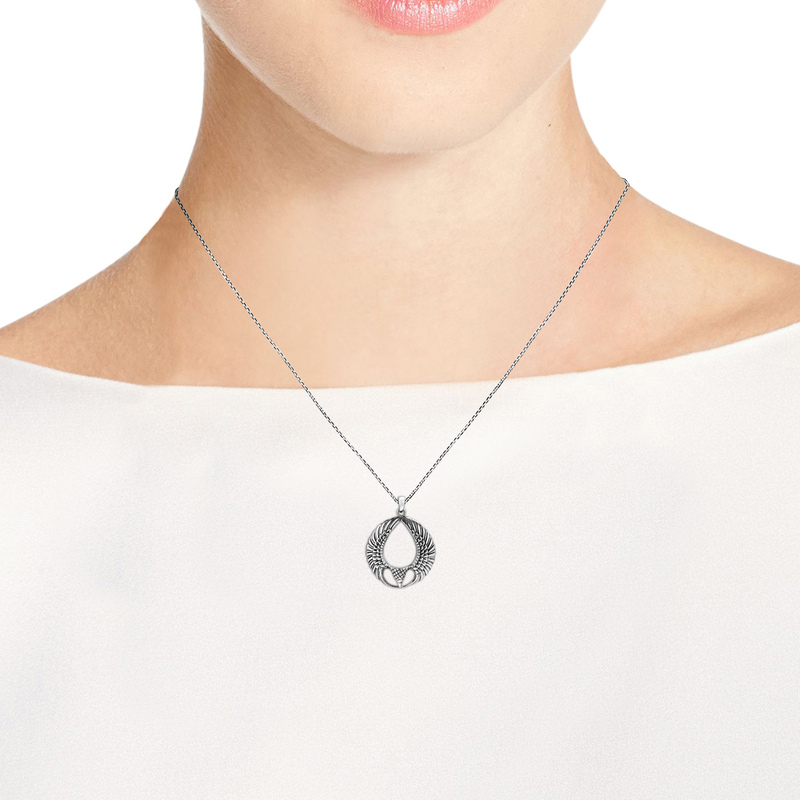 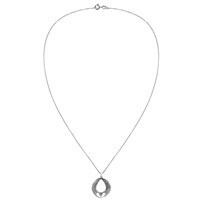 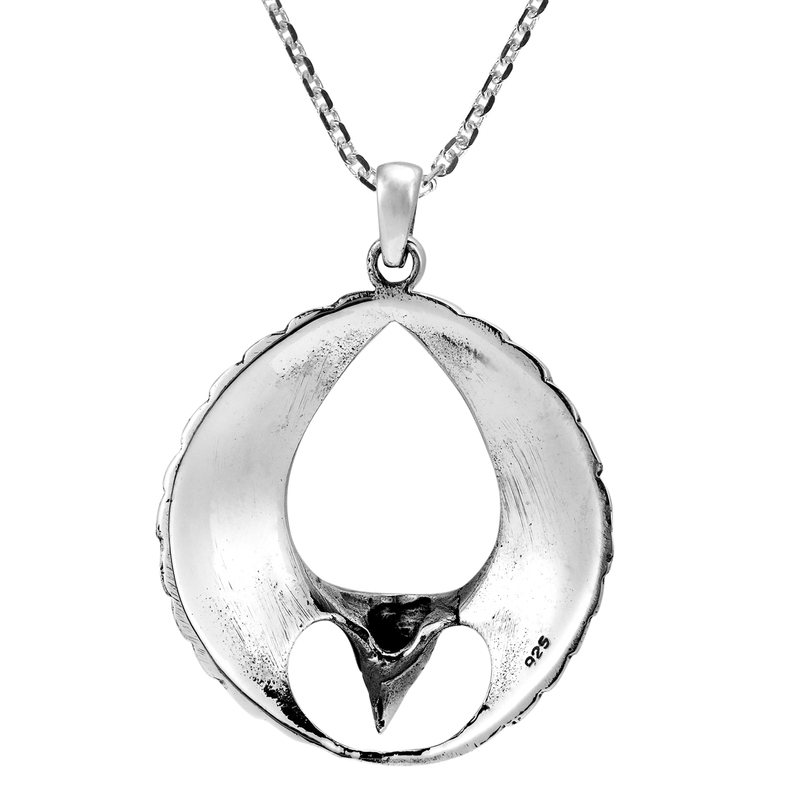 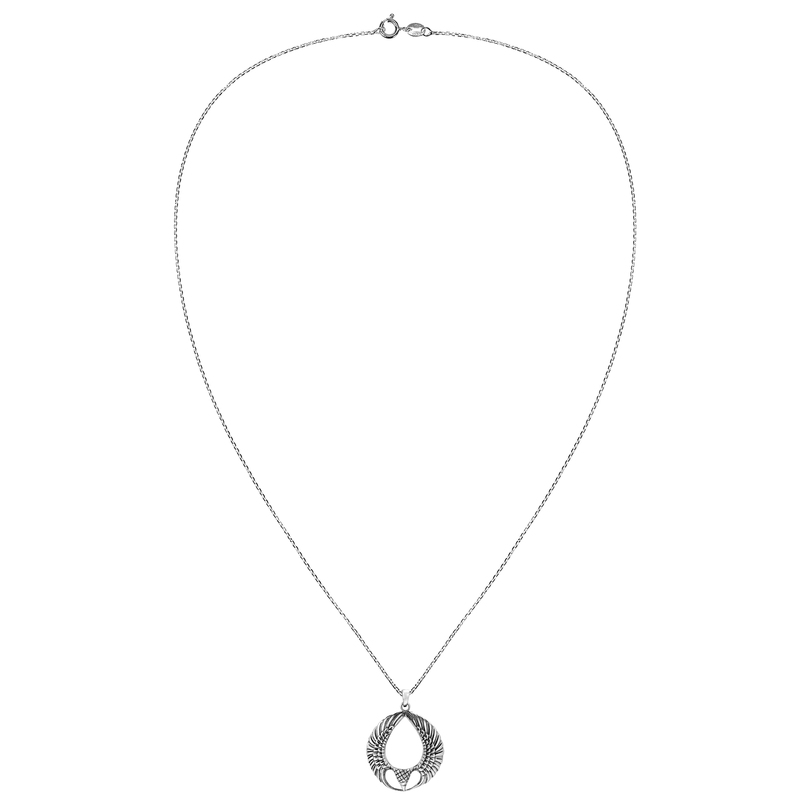 The pendant rests upon an 18 inches cable chain with spring ring closure. 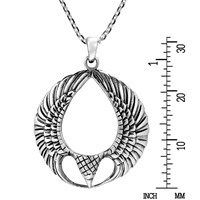 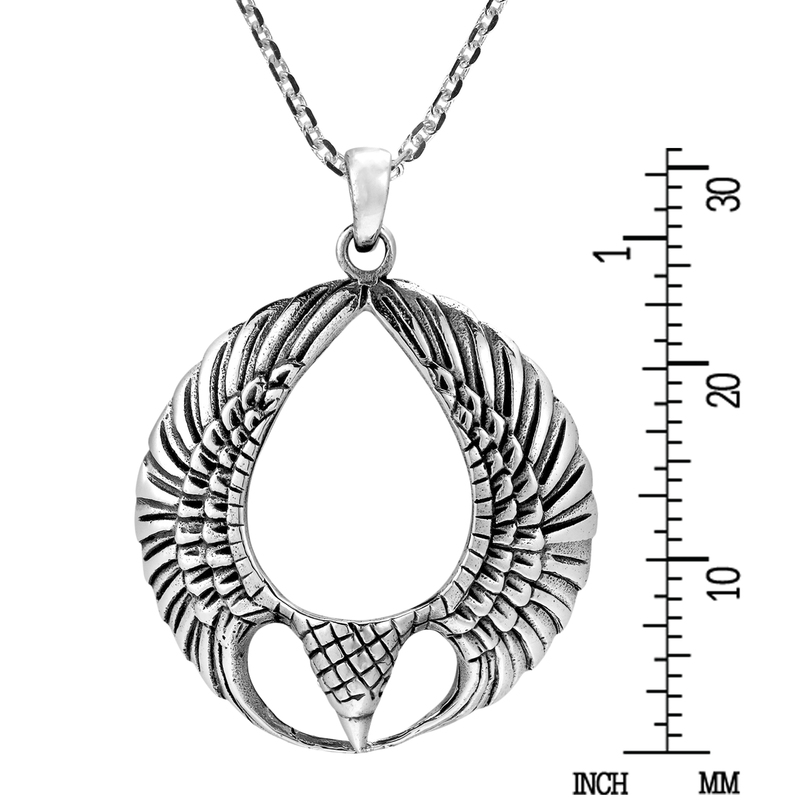 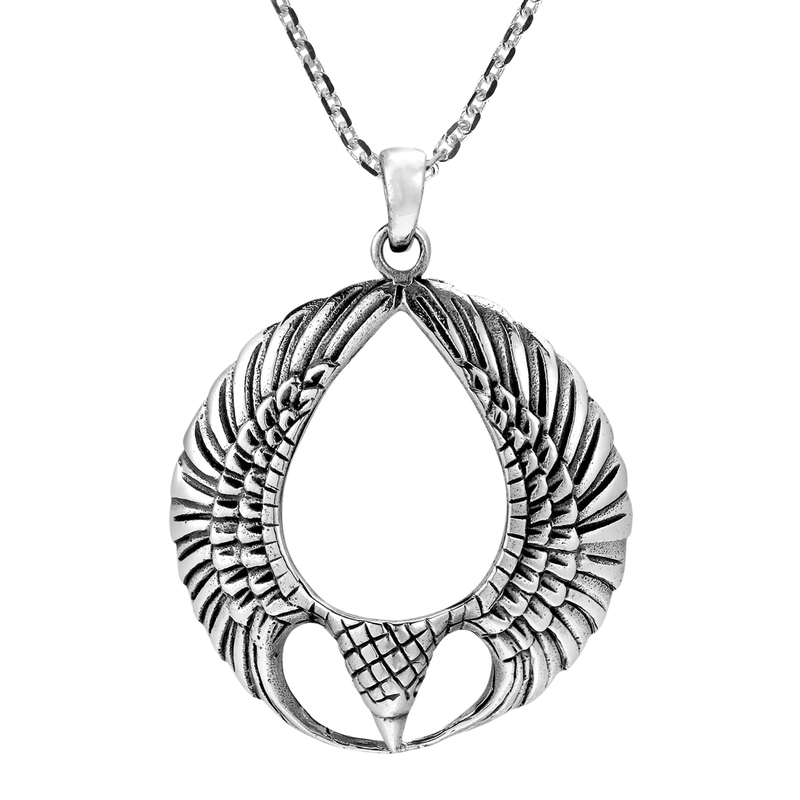 This unique pendant features triumphant eagle wings which in many cultures symbolizes strength, power and resiliency.